The school continually strives to fully comply with all accreditation standards. To further assure the integrity of our educational offerings, the school informs its constituencies that complaints about the program can be submitted to the CCNE. 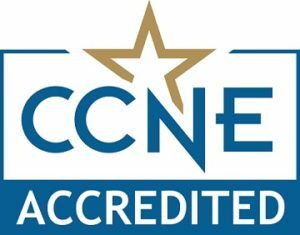 One way that the school assures constituents of our efforts to achieve excellence is to establish a mechanism for reporting formal concerns or complaints about the program to our accrediting agency, the CCNE. The MU Sinclair School of Nursing’s BSN programs have the full approval of the Missouri State Board of Nursing.